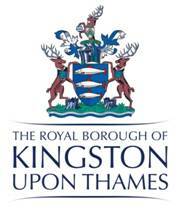 Seven musicians, amateur and professional, met as a group for the first time on Monday evening 31 October. 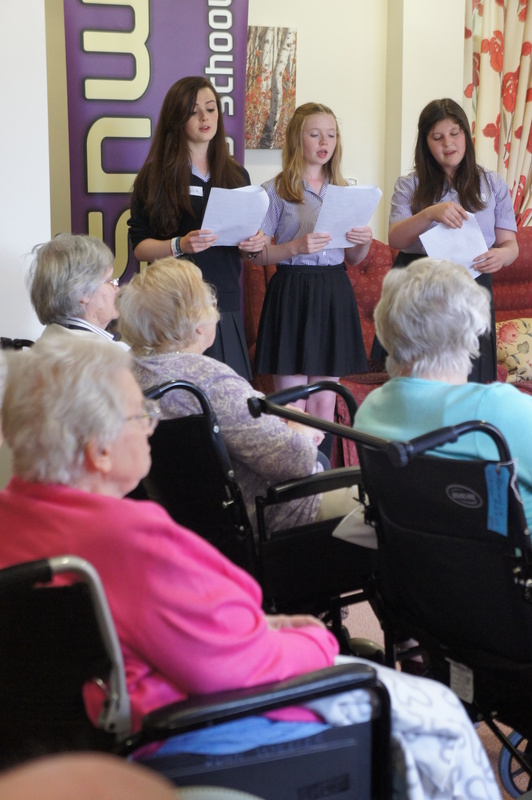 By Wednesday afternoon they were performing in local nursing homes. Where could this happen? 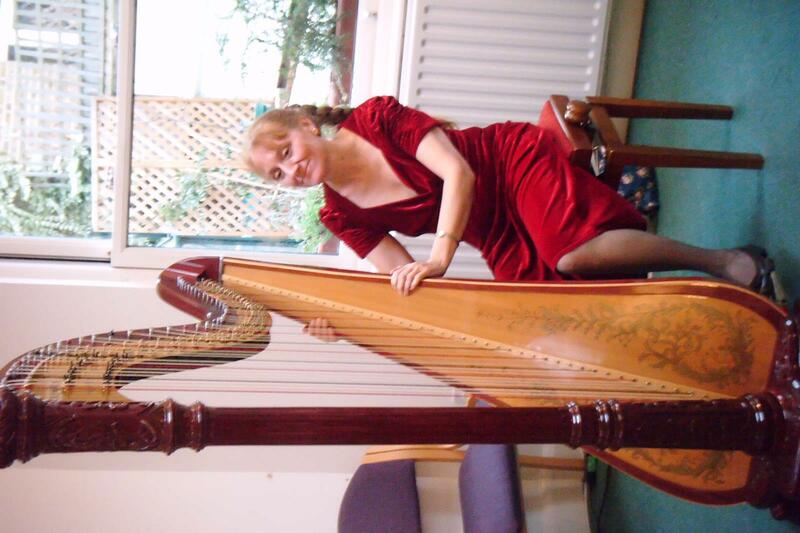 … at Benslow Music Trust, of course! Bill Bates, our percussionist, had made arrangements of popular standards exactly to suit the line-up. 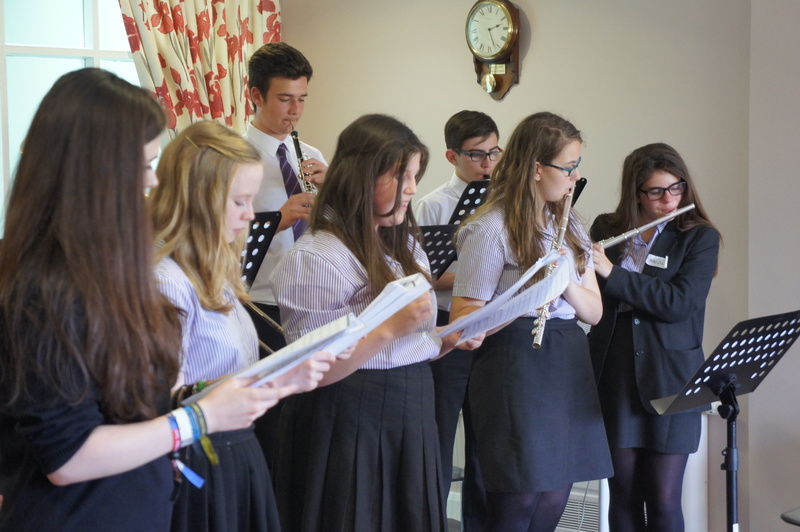 Clarinets were in the majority, with course leader Margaret Archibald joined by Craig Maxwell who featured especially on bass clarinet, Sue Young doubling on B flat and E flat alto, and Chris Timmis holding the principal clarinet part. 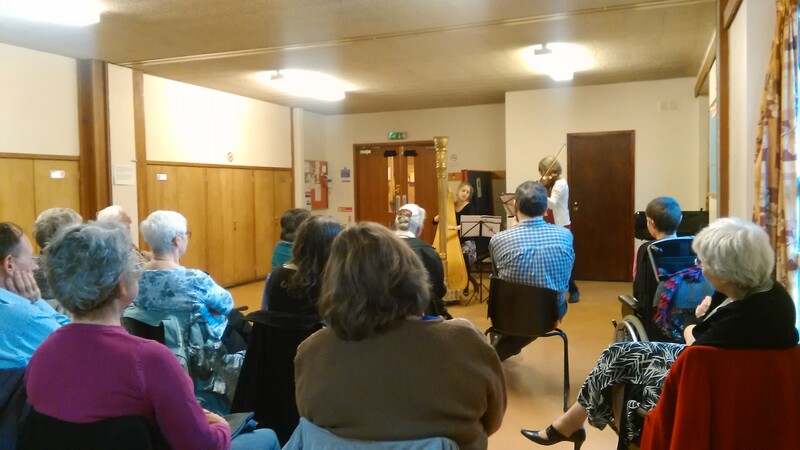 Judy Wang had brought her flute all the way from Taiwan especially to take part in the course at Benslow, and ‘cellist Jane Richardson doubled on voice and keyboards in an ensemble that was remarkable for its flexibility. …and getting Bill’s kit from Benslow to each nursing home made it necessary to allow at least half an hour before and after each concert for setting up and taking down. 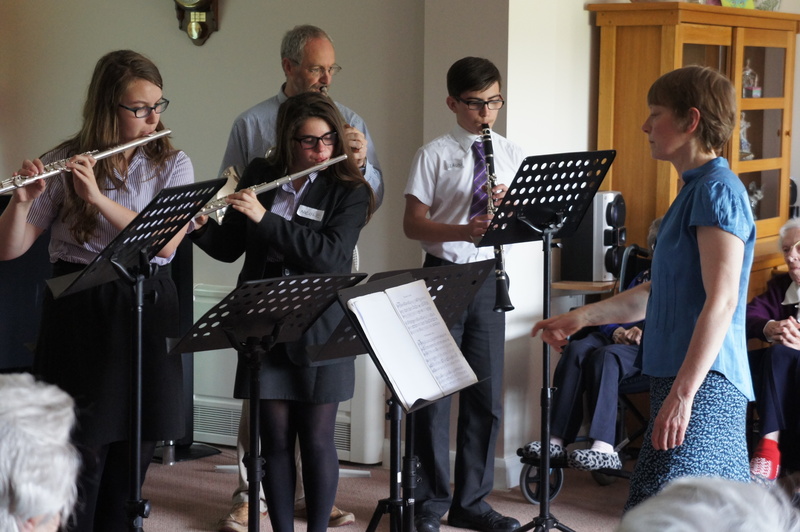 Concerts at Elmside Methodist Nursing Home, Symonds House (Leonard Cheshire Disability), St Catherine’s Nursing Home and Benslow Nursing Home completed our tour. 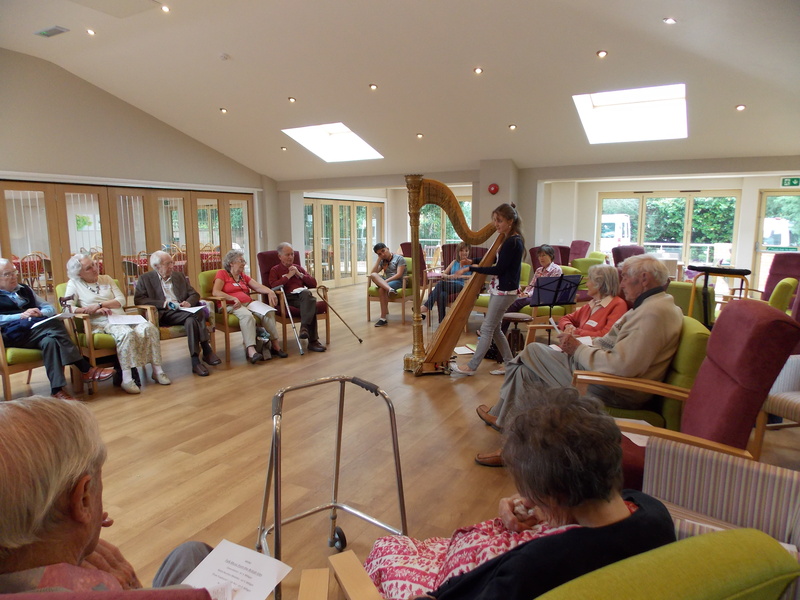 All the care centres are now old friends, and we were given a warm welcome at each one. 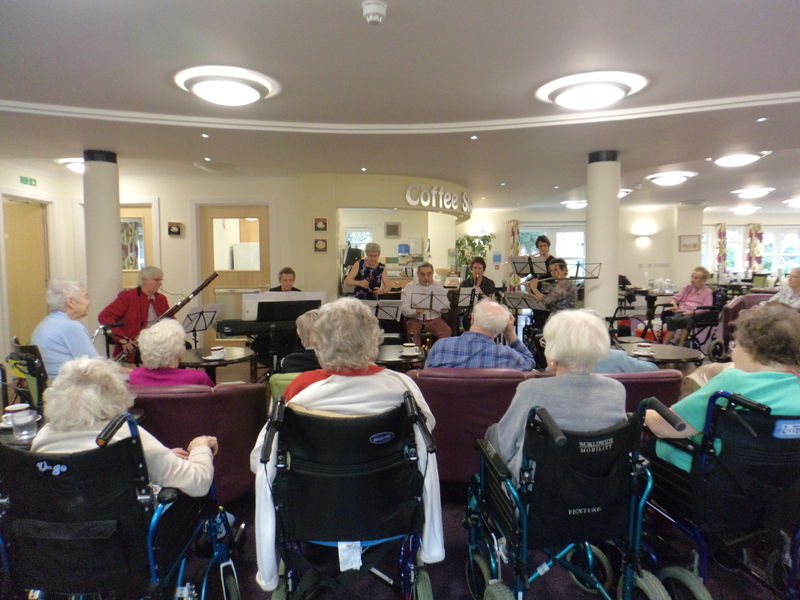 Thanks to Benslow’s collaboration with Everyone Matters our concerts seem now to be well established in Hitchin care homes as an annual event. 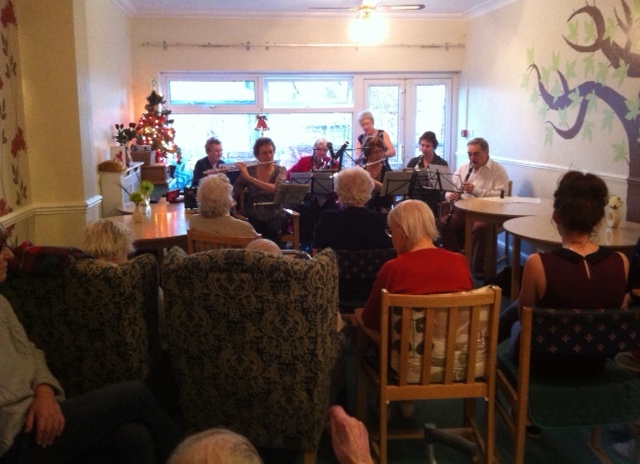 “It was a brilliant experience”, wrote the Activity Coordinator after the performance at Elmside, “and we loved the way everyone interacted with the residents”. 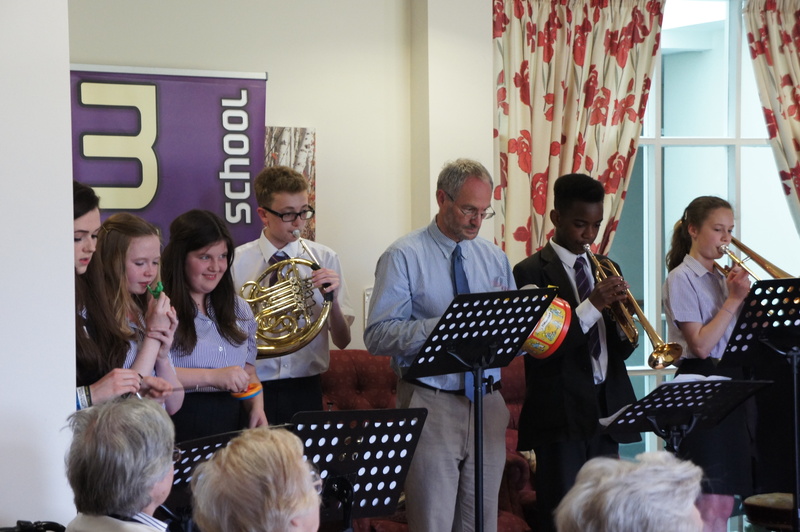 The response from Benslow Nursing Home was simply “Thank you so much to all for a magical afternoon”. 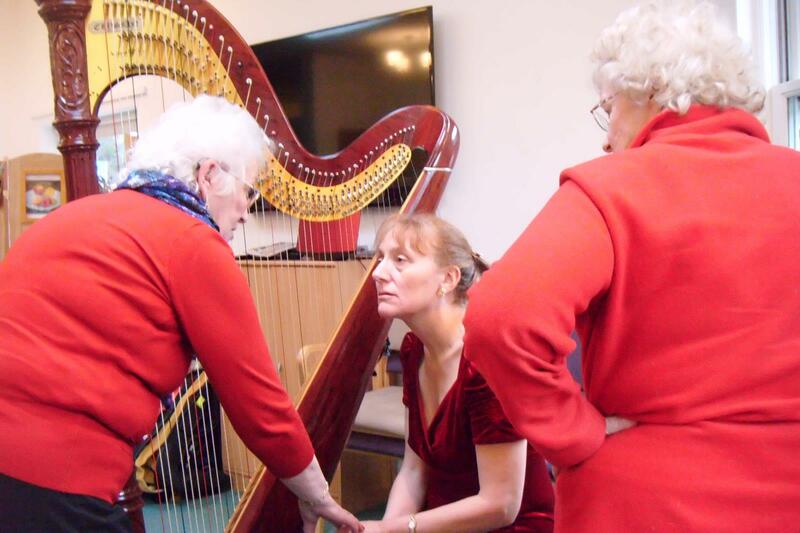 Nicoline Kraamwinkel and Rosanna Rolton, mum and daughter, charmed audiences during seven concerts over three separate days in late October. 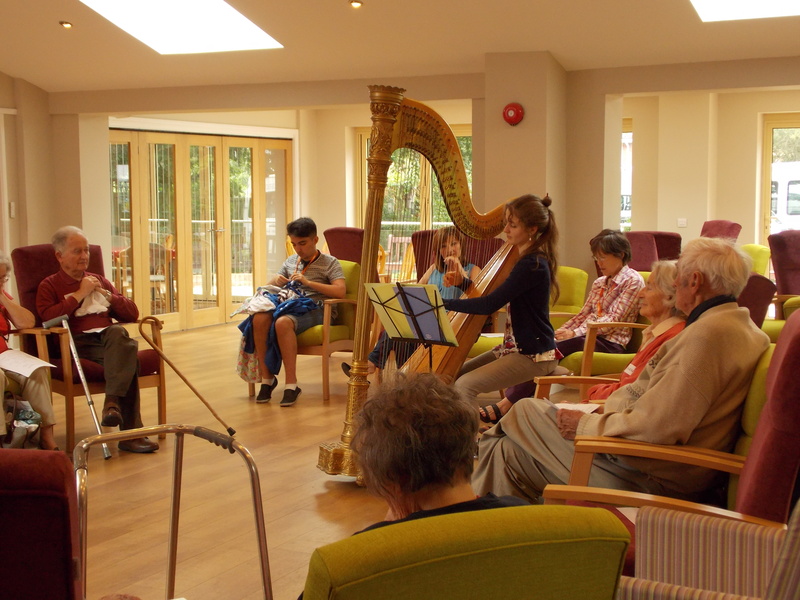 They performed “Conversation Pieces” in four nursing homes and day centres, entertained the guests at the Sanderstead Decorative and Fine Arts Society Annual Lunch, and gave two full-length lecture-recitals for “Music Matters” in Whitgift House Chapel, South Croydon and for “Musical Offerings” in St Mark’s Church, Bromley. 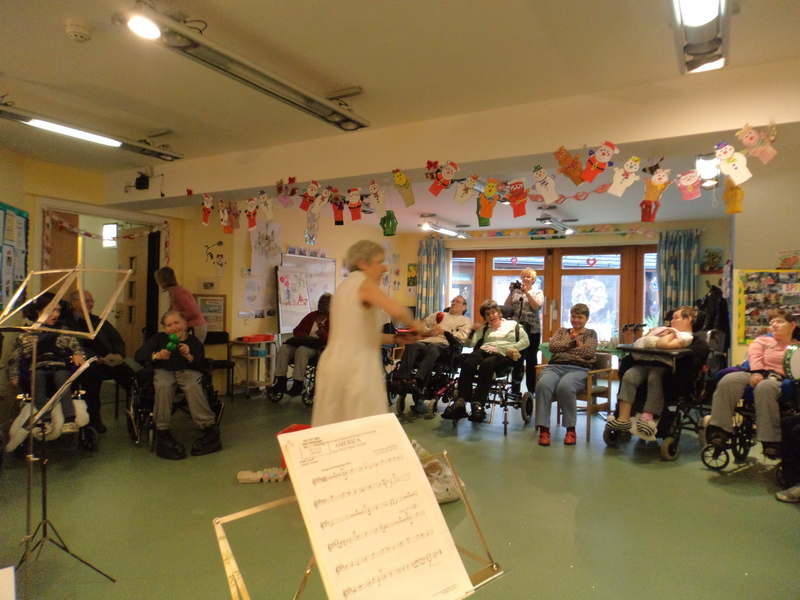 “The music session this morning was a great success”, echoed the Activity Co-ordinator at Bertha James Day Centre in Bromley, ” and one I hope we can repeat”. The home-made tea loaf and chocolate cake seemed to go down well at the break, and the apple cake containing old-fashioned garden Bramleys seems to have been a particular success. In fact, a couple of large buckets of this year’s huge Bramley harvest taken to the church enabled quite a few of the audience to take apples home with them too! 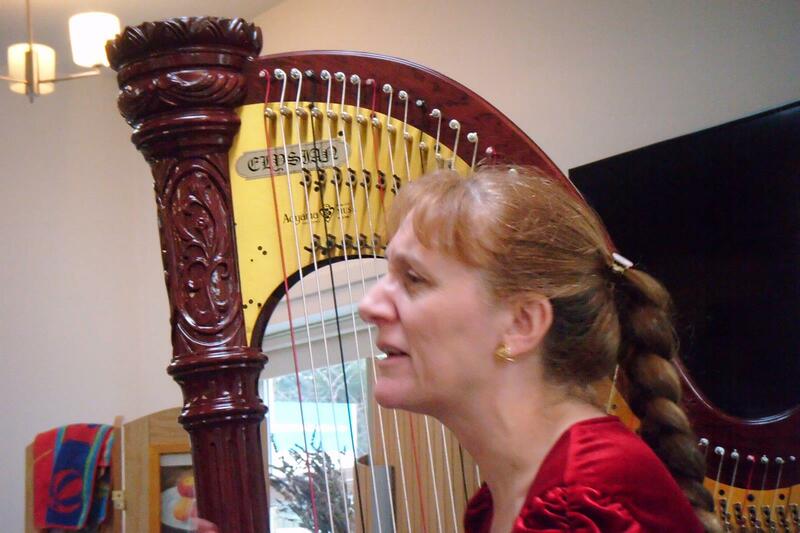 … interspersed with a medley of short instrumental items. These included Handel’s “Ouverture” from the Fitzwilliam Museum and adapted for oboe, clarinet and horn by Katie, Margaret and Chris from the original for two high clarinets and hunting horn, and special items featuring the brass section and the woodwind section that included some old English jigs and reels. Joy Corbett, Activities Organiser at Coloma Court, had been in touch with Everyone Matters months in advance, to request a return visit by young musicians from Bishop Justus School following our previous visit there during our project “Conversation Pieces – words and music uniting young and old” that had been supported by the National Lottery through the Big Lottery Fund. It is always good to make new friends, but even better to revisit old ones, and we were greeted in the upstairs room by a most welcoming audience on this return visit. The climax of the concert, and an item that had been given great attention during the rehearsal, was the three movement “Toy” Symphony, long considered to have been the work of Haydn but now believed to have been written by Mozart’s father Leopold, himself a professional violinist and composer as well as an incredibly proud dad. We were performing an arrangement created especially for the assembled forces, and our young lady vocalists agreed to join the percussion section on warbling canary (rescued from a Christmas cracker), rattle (taken from an old pram set) and triangle (from the Bishop Justus percussion trolley). Christopher excelled on toy drum, forming an excellent trumpet and drum team with Alex, and Emma gave the whole ensemble a firmly rhythmic and characterful bass line from her trombone. Year 9 Brass players take the lead in Leopold Mozart’s “Toy” Symphony while Christopher, our professional horn player, forsakes his usual splendid instrument for a brightly coloured plastic drum.